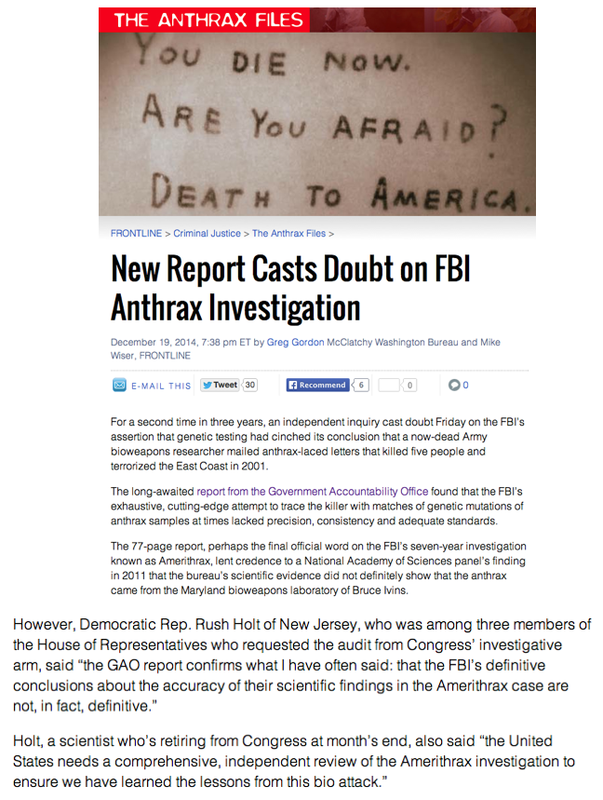 2014 December 20 « CASE CLOSED … what really happened in the 2001 anthrax attacks? * GAO-15-80: Published: Dec 19, 2014. Publicly Released: Dec 19, 2014. GAO-15-80: Published: Dec 19, 2014. Publicly Released: Dec 19, 2014. In 2001, the FBI investigated an intentional release of B. anthracis, a bacterium that causes anthrax, which was identified as the Ames strain. Subsequently, FBI contractors developed and validated several genetic tests to analyze B. anthracissamples for the presence of certain genetic mutations. 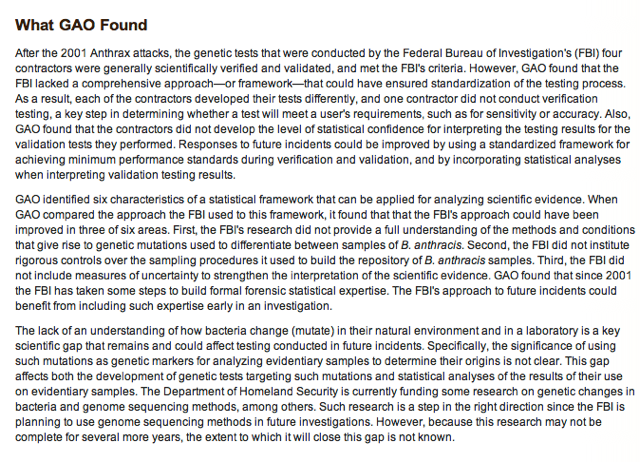 The FBI had previously collected and maintained these samples in a repository. For more information, contact Timothy M. Persons, Chief Scientist, at (202) 512-6412 or personst@gao.gov.